Being one of the prime Manufacturer, Exporter and Supplier in India, the company offers Melting Point Apparatus. The Melting Point Apparatus provided by us is widely used in varied laboratory experiments for varied purposes. Designed to perfection, the Melting Point Apparatus that we offer is provided with some advanced features such as slots for storing pre-prepared samples and a storage draw to hold a container of capillary tubes. Our Melting Point Apparatus is quality-tested by our experts on various parameters thus, these comply with international standards. Plateau facility is included with variable ramp rate between 0.5 and 10°C in 0.1°C increments. The tubes are illuminated with bright white LED’s to give the clearest view of the samples during the melt. An accessory printer is available separately to produce a written record of the melt. 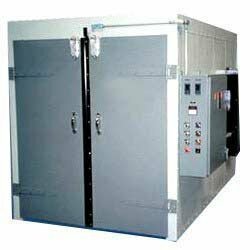 The clients can avail from us, high quality Drying Oven that is manufactured using latest technology as per the industry standards. The Drying Ovens offered by us are extensively used for accurate cure, melting, drying, and sterilization process. The Drying Ovens offered by us are widely demanded by various laboratories, hospitals, etc. for their high efficiency, unmatched quality. The clients can avail these Drying Ovens at market’s leading price from us. 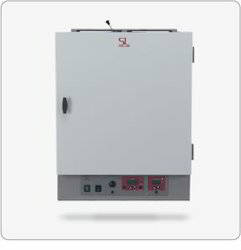 Applications Areas Of Laboratory Drying Oven? These ovens are sometimes referred to as Laboratory Ovens and are used in a variety of applications including general lab work, component testing, drying glassware, and sterilizing. The model CE3 & CE5 are available in both Forced Air Convection and Gravity Convection configurations. Gravity Convection units are preferable for applications with lightweight samples (powders, lightweight films & granular materials) because they do not have an internal fan that will blow these samples around within the chamber. The SHEL LAB FX14–2 features 14 cu. ft. of general purpose space. The FX28–2 at 28 cu. ft. is the largest general purpose oven on the market. 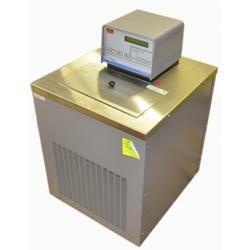 These large capacity units are perfect for high volume sample processing and drying applications including production processes. Advanced fuzzy logic PID controlling system provides precise rotation speed,temperature control for product,and operating time. Membrane touching keys are adopted in an operating system which also has large-scale liquid crystal display,RS232 interface reserved,optional commuincation software. Standard mode and program mode for operating system,the former one can be configured through menu with fixed temperature,rotation speed and time.Temperature,rotation speed and time can be configured as required by the users under program mode,which also has timed shutdown function. Top and bottom temperature configuring limit alarm for temperature control system with independent mechanical overtemperature protection device. An unique air duct structure with top duct for intake and bottom duct for return,high-quality axial flow fan ,condenser and evaporator that transfer heat rapidly,together they ensure homogeneity and precision of temperature. Use environmental R134a cryogen,designed to contain overvoltage crowbar circuit and voltage relief circuit and has automatic defrosting fuction. Performance parameters under idle conditions:ambient temperature 20 ambient humidity 50%RH. Any alteration on the appearance and parameters of product will not otherwise be notified,please accept our apologies for deviation on the appearance of the product may be incurred by photography and printing. 1. Low noise pump: Durable and economical SANSO water pump is imported to eliminate the trouble of maintenance. 2. Easy for maintenance : It is easy to maintain and clean condenser to improve the refrigerating performance and save energy. 3. Beautiful water nozzle: It can be rotated for 360°. Plug and play function is provided to improve the working efficiency. 4. Automatic compressor control The refrigerating efficiency is controlled according to the actual demand, thus to reduce use cost, wearing and prolong the service life. 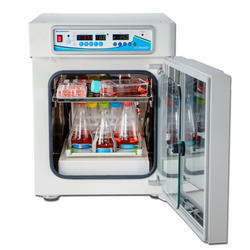 5.Easy for discharge of fluid The fluid can be discharged easily for the cleaning and maintenance of incubator. 6.Even temperature: Condenser coil is designed around for guaranteeing the even temperature inside the incubator. Performance parameter test under empty load: Ambient temperature of 20 ambient humidity of 50%RH. The change of product appearance and parameter will not be notified additionally. Product appearance may deviate due to shooting and printing reasons. Applications:Electronic factory Jewelry factory Chemical lab Dental clinic Restaurant Repair shop Family , etc. The Halo DNAmaster complements the existing range of Halo spectrophotometers and plate readers. 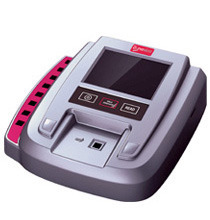 It is designed for the measurement and analysis of precious samples by requiring only microvolume quantities. DNAmaster features the same ruggedness, reliability, precision and reproducibility synonymous with the Halo family. The Halo DNAmaster complements the existing range of Halo spectrophotometers and plate readers. 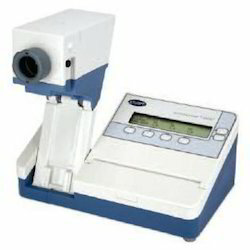 It is designed for the measurement and analysis of precious samples by requiring only microvolume quantities. DNAmaster features the same ruggedness, reliability, precision and reproducibility synonymous with the Halo family. The Halo DNAmaster is equipped with a comprehensive selection of on-board functions for versatility and suitability to many life science applications involving nucleic acid, proteins and bacterial cultures. The Halo DNAmaster boasts a wavelength range from 200 to 900nm, an absorbance range between 0 - 4 O.D. and a wavelength accuracy of 1nm. Low noise (~0.005 O.D.) combined with a photometric accuracy of 0.01 O.D. and 4nm bandwidth ensure excellent sensitivity, accuracy and reproducibility. By virtue of the innovative 'Ultramicro' cell as little as 0.5 of sample is required. Simply pipette the sample on the appropriate section of the Ultramicro cell, perform the measurement and then wipe off clean or aspirate the sample for further downstream applications. The Halo DNAmaster can also be used as a conventional spectrophotometer with standard 10mm optical path length cuvettes. The Halo DNAmaster is also available configured with 50 cells. However, both configurations can also be used as a conventional spectrophotometer with standard 10mm optical path length cuvettes. The 90mm x 120 mm, colour LCD screen is touch-sensitive with intuitively designed software for quick selection by sample type. Effortless step by step navigation and a virtual QWERTY keyboard provide fast and efficient input and analysis. Data is displayed numerically and also in a graphical format (where applicable) with the further option of direct printing or storage in a SD card. The Halo DNAmaster is configured with onboard functions for the quantification of nucleic acids. Select the nucleic acid of choice such as double stranded DNA, single stranded DNA, RNA or oligonucleotides and absorbance measurements at the prescribed wavelength are directly converted into concentration units. The detection limit of the Halo DNAmaster is 20ng/ (double stranded DNA). The purity of nucleic acids can also be determined from ratio calculations such as A260 / A280 nm for protein contamination of DNA preparations. The Halo DNAmaster can also measure concentrations DNA, RNA and oligonucloetide-dye complexes. The Halo DNAmaster measures protein concentrations from a range of colorimetric assays such as Bradford, Lowry, Biuret and BCA. In addition to numerical data the standard calibration curve can be displayed. Furthermore measure protein alone at 280nm or protein-dye complexes that absorb at 246nm. The Halo DNAmaster also measures bacterial cell density at 600nm. Absorbance readings of approximately 0.4units define a bacterial culture in exponential growth phase and at the most appropriate for harvesting or induction. With thorough understanding of the relevant industry, we are offering a wide array of Cell Culture Tube. These products are used in science labs for testing special types of high intensity chemicals. Manufactured using premium grade borosilicate glass and progressive techniques, our offered range is highly demanded in the market. In tune with different requirements of our clients, we customize the entire range in different sizes.